Can a rescued horse help Ali get through to her brother, who has returned from Afghanistan with PTSD? Ali used to love horses. But that was before the accident, when she was injured and her pony died. Before her brother Danny joined the military. Now Danny has returned from Afghanistan. He's learning to walk with the prosthetic that has replaced one of his legs, but he can't seem to find a way to reconnect with family and friends. Withdrawn and quick to anger, Danny suffers from terrible nightmares and frightening mood changes. When Ali realizes that an elderly neighbor has been neglecting her horses, she decides she has to act. Can Ali rise above her painful memories and love a horse again? 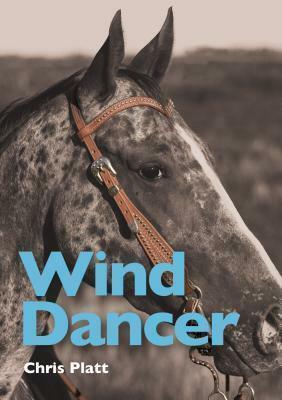 And can Wind Dancer, also injured and traumatized, help Danny rediscover meaning in his life? "The abuse and rehabilitation of the horses is handled well...fully developed without sensationalism or melodrama. ...[O]ne of Platt's better works; horse-crazy kids will love it, as always."